Take your online research to the next level by accessing dozens of online resources that can't be found on Google. You need a Sioux Lookout Public Library card to access these online resources. This 14-digit number can be found on the back of your card. If you don't have a library card please contact us to get started. We are here to help. Please visit the library or contact us to set up an appointment for help with all of your research needs. Ancestry Library Edition provides unprecedented access to family history via documents that record the lineage of over 5 billion individuals. Features a Canadian collection that provides nearly 60 million records from the Census of Canada, and key vital records, such as the Drouin Collection (1621-1967), which includes nearly 30 million baptism, marriage, and burial records from Quebec. This resource must be accessed in the library. Containing resources that present multiple sides of a current issue—including information on key topics of interest to Canadian researchers—this database provides rich content that can help students realize and develop persuasive arguments and essays, better understand controversial issues, and develop analytical thinking skills. Canadian Reference Centre includes leading Canadian periodicals and international periodicals in full text, full-text reference books, thousands of full-text biographies, and an image collection containing more than one million photos, maps and flags. The collection includes images from Canadian Press. Canadian Reference Centre provides full text for leading Canadian magazines including Bank of Canada Review, Benefits Canada, Canadian Business, Canadian Geographic, Canadian Manager, Chatelaine, Flare, Maclean's, Manitoba History, Marketing Magazine and many more. 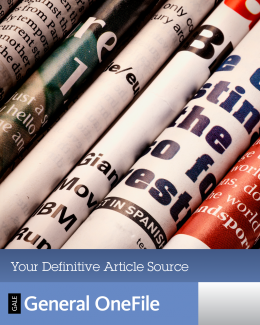 Canadian Reference Centre also provides full text for leading Canadian newspapers and newswires including Canadian Press, The Guelph Mercury, The Hamilton Spectator, La Presse Canadienne (en Francais), The Record, Toronto Star, etc. 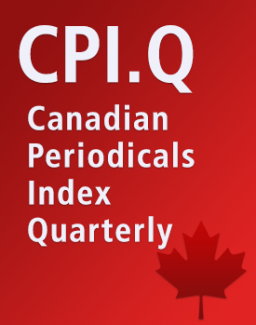 In addition, this database provides full text for leading Canadian reference books including Canadian Global Almanac, Canadian Oxford Dictionary - 2nd edition and many more. 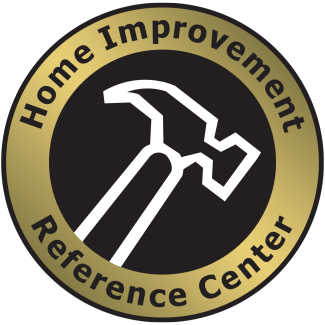 Get the detailed information you need to tackle vehicle maintenance and repairs. 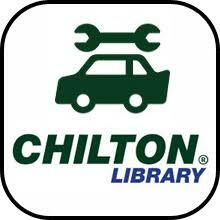 Some of Chilton Library's more popular features include: Maintenance and specification tables that provide the unique data you need for each specific vehicle; Step-by-step service and repair procedures, and labor estimating tool to help you confidently determine your next move; Vacuum diagrams to simplify troubleshooting; Wiring diagrams to help explain system operation; Close-up photographs and illustrations for visual support; ASE test prep quizzes for the most popular certification exams; A print button which allows you to easily print out what is needed. Articles from hundreds of magazines and journals on a broad range of subjects including: Agriculture, Business, Culinary Arts, Criminal Justice, Communications and Mass Media, Diversity Studies, Environmental, Fine arts and Music, Gender Studies, Gardening and Landscaping, Home Improvement, Insurance Liability, Information Science, Military and Intelligence Databases, Nursing, Pop Culture, Psychology, Popular Magazines, Religion, Philosophy, Small Business, Sports Medicine, Hospitality, Tourism, and Leisure, History, Vocations and Careers, Legal, Education. Science. This database offers detailed "how-to" instructions and creative ideas to meet the interests of virtually every hobby enthusiast. Full text is provided from leading hobby and craft magazines, including Bead & Button, Creative Knitting, FineScale Modeler, Quilter's World and many more. You can read content online or download PDF files to your device. 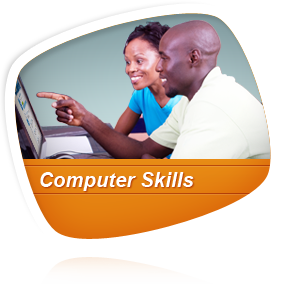 Provides the Tools and Resources to Develop Future Ready Skills in Young Learners. 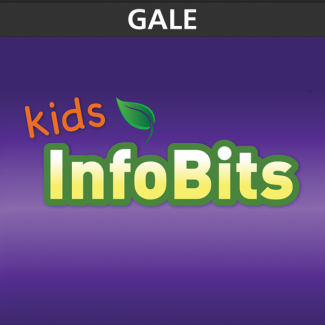 Kids InfoBits is the perfect educational product for today's young learners. It is a content-rich, authoritative, easy-to-use digital resource featuring age-appropriate, reliable, curriculum-related content covering a broad range of educational topics. The modern design and simple navigation makes it easy for users to explore content and gain comfort with database searching. LearningExpress Library features nearly 1,000 online tutorials, practice tests, and eBooks to help people of all ages. It offers job search and workplace skills improvement, skill building in reading, writing, math, and basic science, career certification and licensure exam prep, college and grad school entrance test prep, GED® test prep, and more. The world’s most current, comprehensive and reliable online literature database, Literature Resource Center is uniquely relevant to today’s researcher. Its rich critical, biographical and contextual content supports interdisciplinary approaches, information literacy and the development of critical-thinking skills. Lynda.com is a leading online learning company that helps anyone learn business, software, technology and creative skills to achieve personal and professional goals. With your Sioux Lookout Public Library card, you can access the hundreds of thousands of videos lynda.com offers. There is something for everyone, with courses for the very beginner to professionals. MasterFILE Premier provides full text for magazines, reference books and primary source documents that cover a wide-range of subject areas including business, health, education, general science and multicultural issues. It also includes an extensive image collection containing photos, maps and flags. CAMPUS expands the boundaries of the traditional classroom and offers new ways of learning. 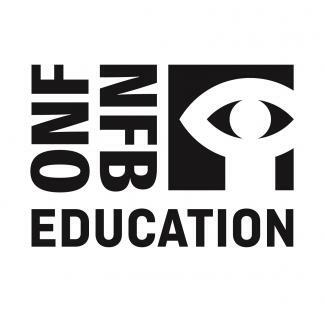 Enjoy our vast collection of films about major contemporary issues and educational resources covering a wide variety of subjects. 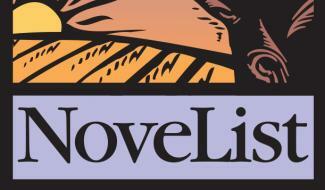 NoveList is the premiere database of reading recommendations, available through libraries around the world. It is a comprehensive source of information about books that includes expert recommendations, reviews, articles, lists and more. 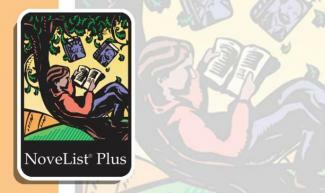 NoveList Plus has reading recommendations for both fiction and nonfiction, for all ages. NoveList's expertise in books and reading means that you'll always get the best help for finding just the right books. Our recommendations are crafted by experts, and we let you know who wrote a recommendation and why the recommendation makes sense. We offer recommendations for titles, authors, and series. This resources features full-text for popular children's magazines, easy-to-read encyclopedic entries and a vast image collection. Students can learn about a variety of topics, such as endangered species, famous musicians, fitness, space exploration and more. Primary Search provides students with encyclopedic entries written specifically for kids. In addition, the database includes full-text popular magazines including those from Cricket Media, such as Ladybug and Spider. Other magazines include Highlights, Junior Scholastic and dozens more. 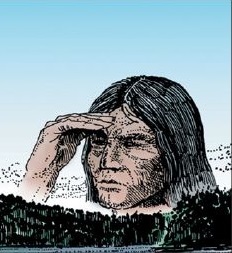 Archived editions of the Sioux Lookout Bulletin are availabe in PDF format for download or online viewing. Teen Health & Wellness: Real Life, Real Answers is a comprehensive database that allows teens (and those who care about teens) to research health-related issues important to their well-being. It’s both a research/report tool and a self-help resource. World Book Online for Kids—the premier general reference Web site developed especially for younger users. 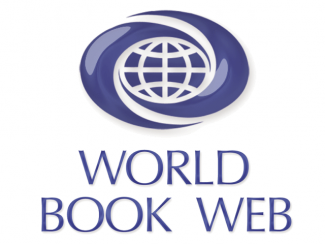 World Book Online Info Finder—includes all articles from the 22-volume World Book Encyclopedia, plus thousands of additional articles and more than 20,000 pictures, maps, videos, and sounds. World Book Online Reference Center—tailored for the needs of older students, it includes encyclopedic content, e-books, multimedia, a vast collection of primary source documents, and a wealth of research tools that allow students to customize and save their work. World Book Discover—designed for students reading below grade level, this site includes reference articles, text-to-speech capabilities, research and translation tools, and multimedia. Enciclopedia Estudiantil Hallazgos—the optimal beginner’s Spanish language reference site. L'Encyclopédie Découverte—a French-language encyclopedia with a wealth of media and research tools.